Jason Donovan and Sheridan Smith star as the Pharaoh and The Narrator while 21-year-old newcomer Jac Yarrow takes the lead role in Joseph and the Amazing Technicolor Dreamcoat as the new production comes to the London Palladium this summer. 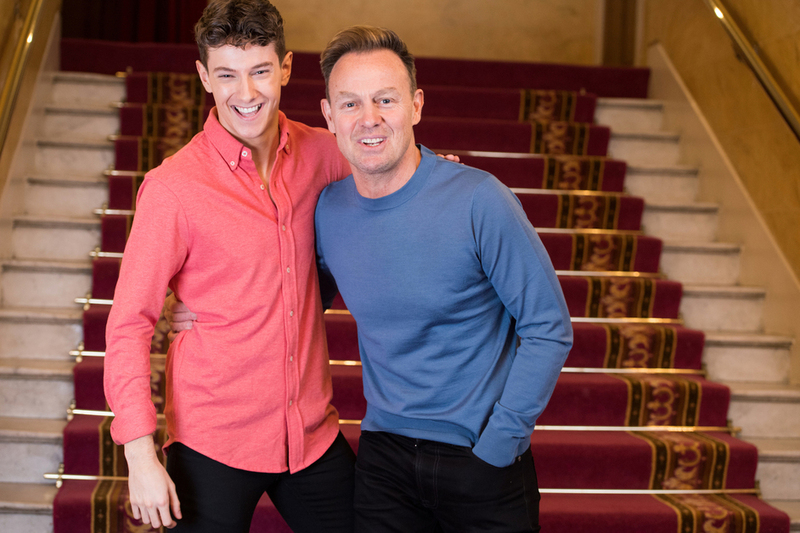 Jac makes his professional stage debut as Joseph - a plum role that's previously been played by Jason Donovan, Phillip Schofield, Lee Mead, Joe McElderry and Donny Osmond. So Jac, who got the role while still at drama school, has big shoes as well as a colourful coat to fill. Told entirely through song with the help of the Narrator, Tim Rice and Andrew Lloyd Webber's biblical musical features catchy songs like Any Dream Will Do, Close Every Door To Me and Jacob and Sons. It follows the story of Jacob's favourite son Joseph who is sold into slavery by his brothers. He finds favour with Egyptian noble Potiphar but ends up in jail after refusing the advances of Potiphar's wife. While imprisoned, Joseph discovers his ability to interpret dreams, and he soon finds himself in front of the mighty Pharaoh. What are the best dining options near Joseph and the Amazing Technicolor Dreamcoat London? Joseph and the Amazing Technicolor Dreamcoat gyms, sporting activities, health & beauty and fitness. The best pubs near London Joseph and the Amazing Technicolor Dreamcoat. Joseph and the Amazing Technicolor Dreamcoat clubs, bars, cabaret nights, casinos and interesting nightlife. Where to have your meeting, conference, exhibition, private dining or training course near Joseph and the Amazing Technicolor Dreamcoat. From cheap budget hotels to luxury 5 star hotels see our discounts for London Palladium hotels, including The Courthouse Hotel from 93% off.